ALLEN POGUE of Imagine A Horse breaks everything down in his videos and makes it possible even for amateur horses (Rina is a hesitant beginner :o) Trick Training One teaches the bow, the Obeisance, and how to kneel; Trick Training Two picks up where One left off with the Lay Down, Sit Up, and Sit Down; the Trick Training Manual encompasses all of the instructions for Pedestal work, Jambette, Obeisance, Bow, Kneel, Lay Down, Sit Up, Sit Down, the Smile, Rolling the Big Ball and more. 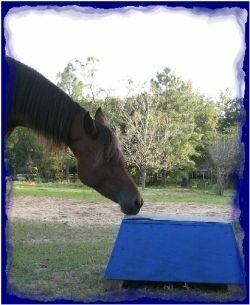 KLAUS HEMPFLING offers a series of books and videos that help enhance communication between horse and human, with a focus on body language (my favorite subject). If you're ready to make some exciting and revolutionary changes in your horsemanship-join us! 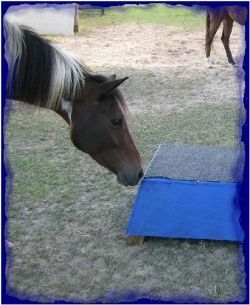 No one else teaches Trick Horse Training like Imagine A Horse! Watch Allen Pogue in action - Can't you just imagine?? MONTY ROBERTS She stated that she definitely liked Mr. Robert's methods of working with horses in his DVDs (not that she needs to be fixed, mind you, as that implies there is something wrong with her...) and his taming of the wild horse "Shy Boy" was nothing short of amazing. 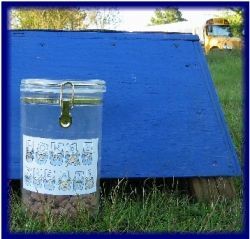 KLAUS HEMPFLING Helps to rebuild trust in a horse's heart; even those that do not seem to be even the slightest bit willing. 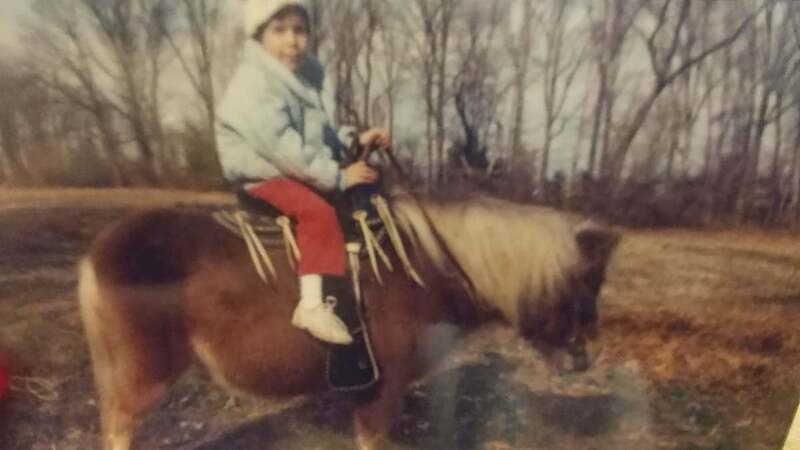 The Man Who Listens to Horses uses gentle horse training methods called Join-Up�, based on the horse's natural language he calls Equus. 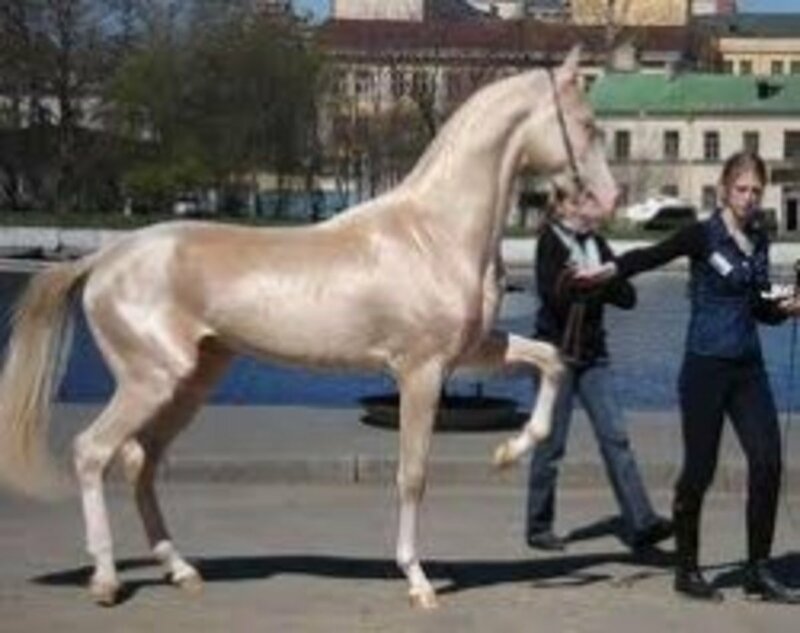 Mark Rashid is an internationally acclaimed horse trainer known for his ability to understand the horse's point of view and solve difficult problems with communication rather than force. 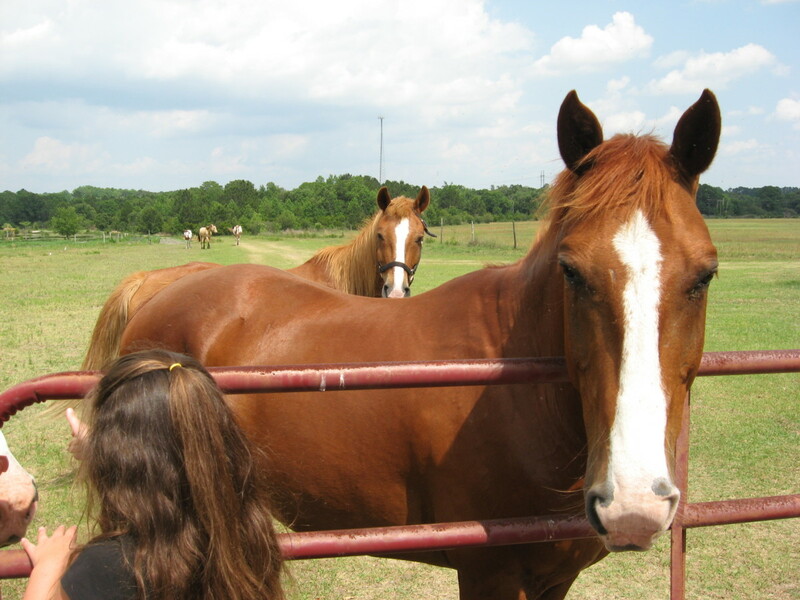 ALLEN POGUE of Imagine A Horse offers teachable routines in Liberty Training One and Two. As an independent thinker, Bella is sure that she will master this in no time at all (she has, however, made it quite clear that she will be the star of her own show; she has no interest in learning the sorting routine and working with her pasture mates). 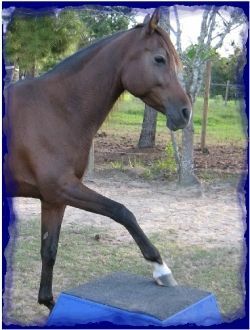 KLAUS HEMPFLING discusses the path to harmony with your horses and offers detailed descriptions and photographs from some of the horses he has worked with (including a very aggressive stallion, Campeon 13 who had been isolated due to his behavior). 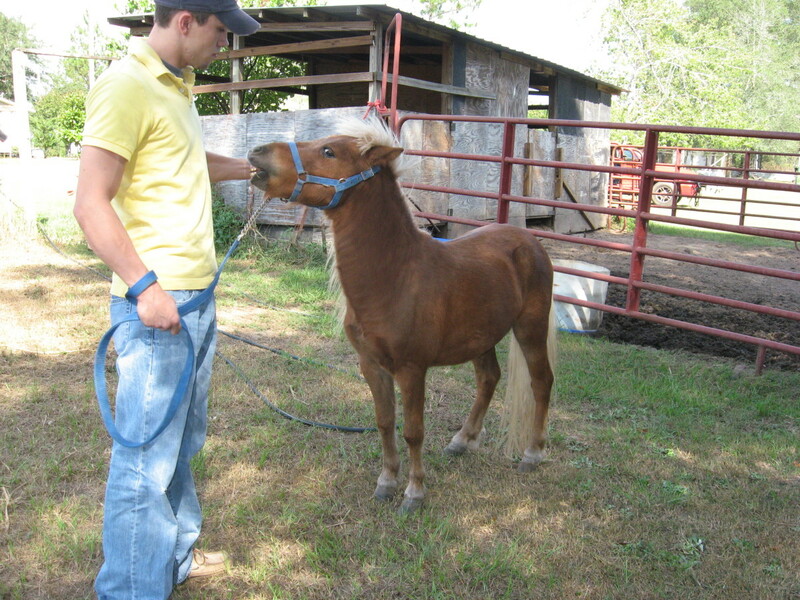 ALLEN POGUE who offers some wonderful training tips for the little guys in Enhanced Foal Training. Shaping Behaviors is also great for getting your guys to think outside the box. MARK RASHID who helps to jump start your own thought process and get you headed (herded?) in the right direction. 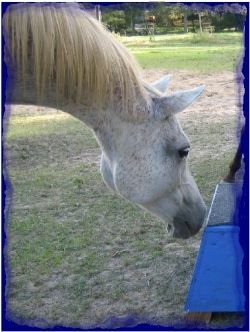 Our favorite aspect of his writing is that he always considers everything from the horse's point of view. 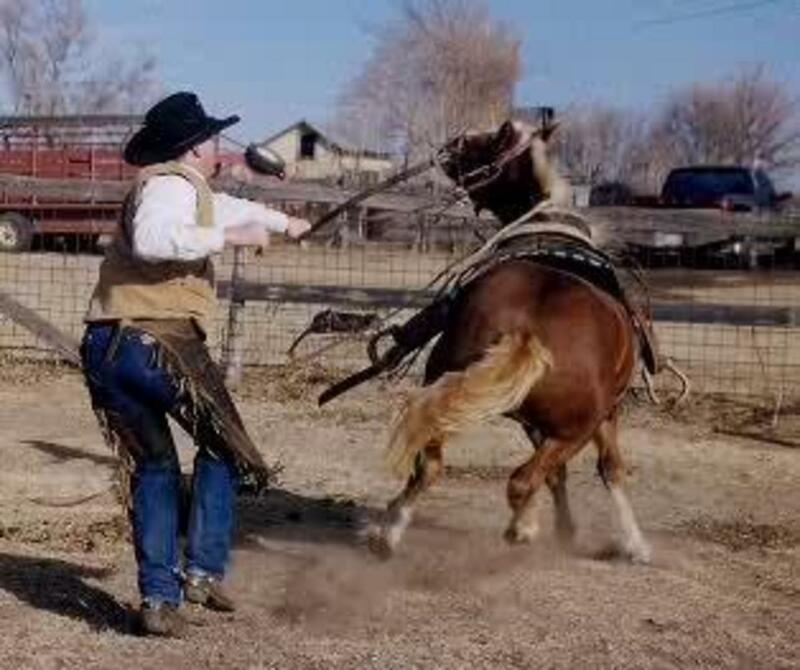 Mark Rashid is an inernationally acclaimed horse trainer known for his ability to understand the horse's point of view and solve difficult problems with communication rather than force. Thanks so much for dropping by... - Although we're sad to say goodbye! I really enjoyed my visit! I ask you-who could ever watch that video and not fall in love with Molly? She is such an inspiration!! "Blessed by a SquidAngel"